Barracuda Networks has announced it has acquired the security awareness and anti-phishing training firm PhishLine. The deal will see PhishLine’s training and phishing simulation platform incorporated into the Barracuda range of AI-driven anti-phishing solutions to provide more comprehensive protection for its customers. Technological defenses against spear phishing and phishing help companies to reduce risk to a reasonable level; however, no solution can be 100% effective against the barrage of spam and malicious emails now being sent by threat actors around the globe. Email is now the leading attack vector and highly sophisticated tactics are now used to bypass security controls and target employees. Social engineering techniques are used to fool employees into revealing their login credentials and install malware and ransomware. Security awareness training is therefore an important part of any cybersecurity strategy. Businesses must ensure that the workforce has the necessary skills to identify new threats and take the appropriate action. This is where PhishLine excels. The company has developed an extensive library of training content together with an SaaS platform for training employees and running phishing and social engineering simulation. The firm holds three patents for its SaaS platform, with a further 8 pending, and the company was recently recognized as a visionary in Gartner’s Magic Quadrant in Security Awareness and Computer-Based Training. “Barracuda’s innovations around targeted attacks, AI, archiving, and data protection complement PhishLine’s solutions well. Our combined strengths offer a comprehensive, data-driven approach to help customers fight smarter, mitigate risks, eliminate threats, and gain greater peace of mind,” said PhishLine CEO and President, Mark T. Chapman. 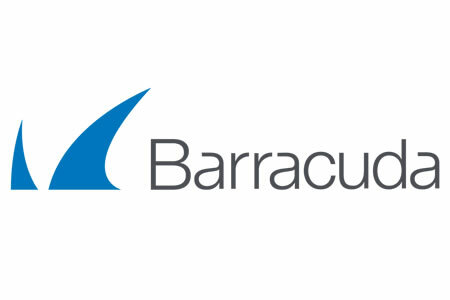 Together with the solutions provided by PhishLine, Barracuda now offers a comprehensive email protection service including technology to block malicious emails and an SaaS training platform to help businesses develop a human firewall. The Barracuda platform provides insights into the latest threats, has advanced AI capability to block cyber fraud and targeted email-based attacks on employees, and web filtering capability to prevent employees from visiting malicious links and protect them while browsing the Internet. Its data and network security solutions have now been adopted by more than 150,000 companies around the world.